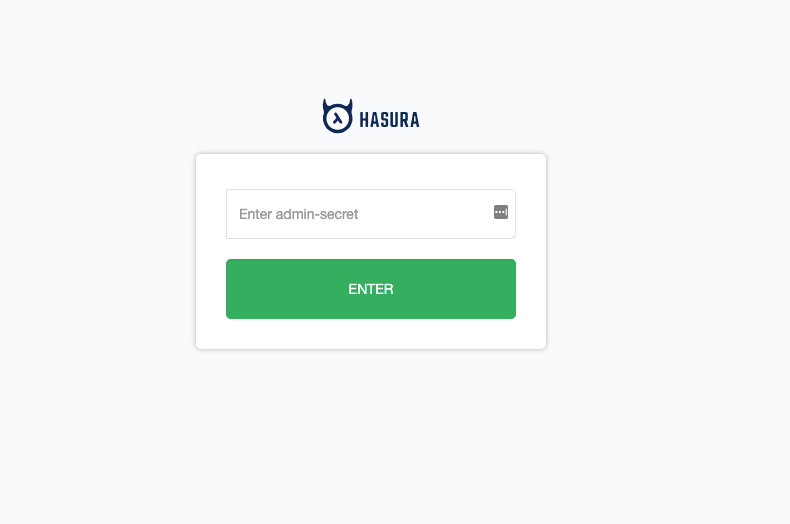 As you may know from various other blog posts found on blog.hasura.io, Hasura supports various types of authentication and in the following blog post I want to lay out what are your authentication options when using Hasura in production. 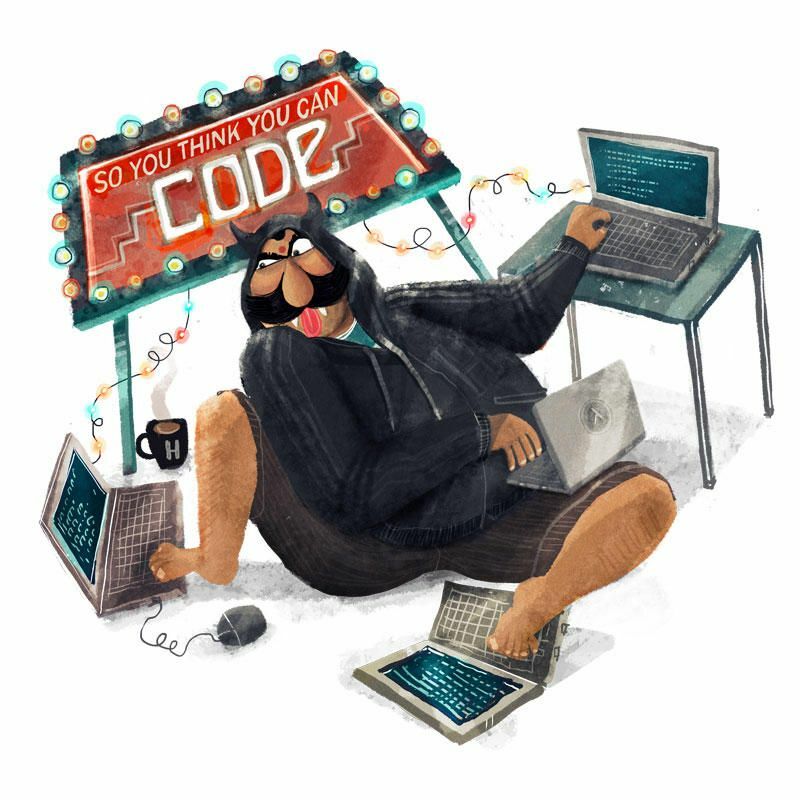 This link leads to the docs section describing how to secure your GraphQL endpoint by passing an environment variable HASURA_GRAPHQL_ADMIN_SECRET. Whether you are using Docker, Heroku or anything else, that will be the first step you will do. The name ADMIN_SECRET suggest that if you pass it in your request headers, you will be giving admin permissions to API consumer. That's why it's important that you use it only from server to server interactions such as using it from serverless functions etc. So that is not an actual authentication. That's just securing your endpoint. Now, what about Authentication and what is the right authentication method for you? 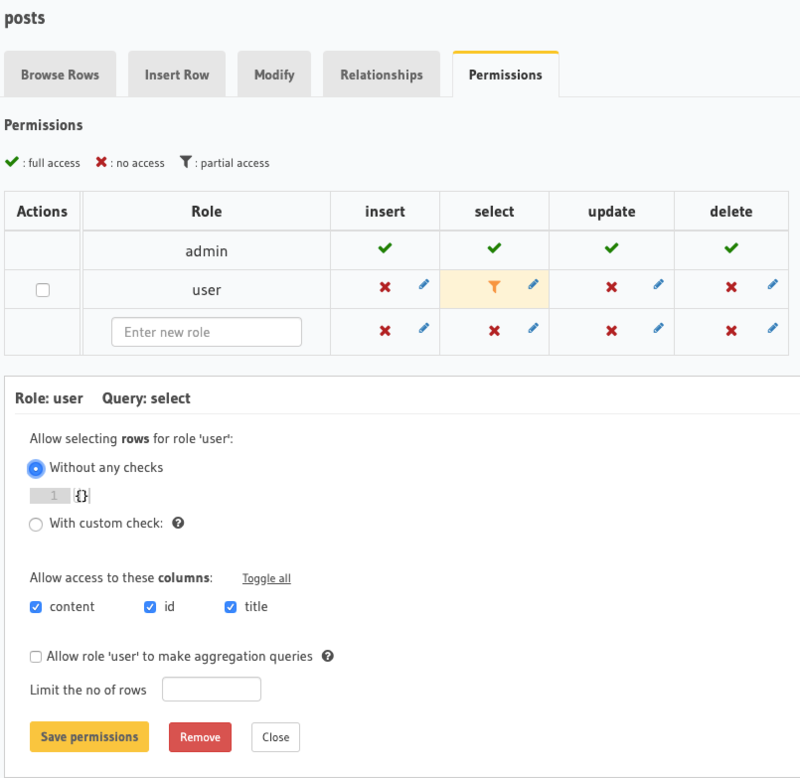 How we get started with our custom webhook? Let's look at the case study of passport-js webhook boilerplate example we have available. So how do we log in? And how do we define permissions? So how do we structure our client app? and as a result, get token. 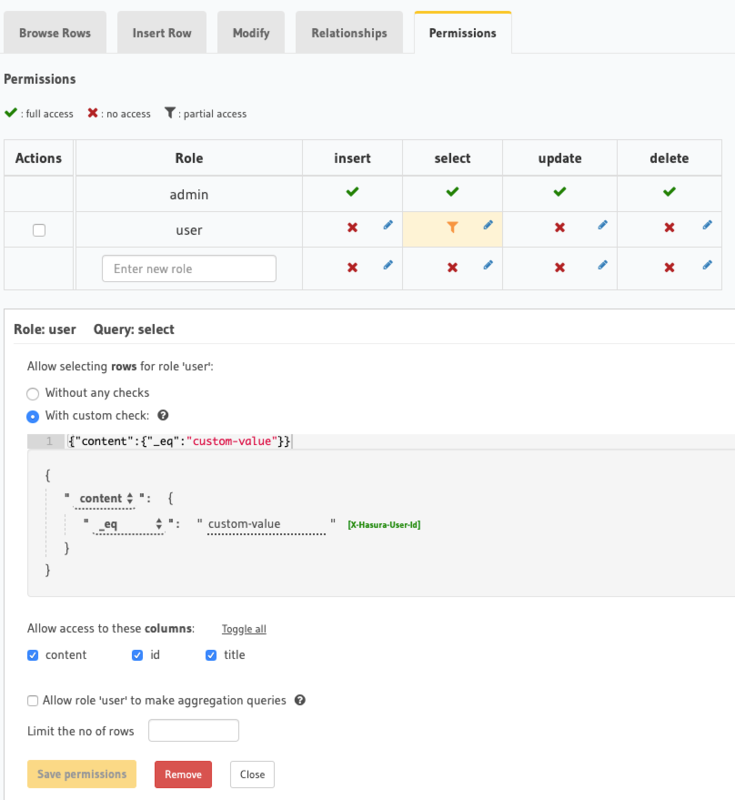 Now what is left to do is to configure the webhook env variable and set permissions. 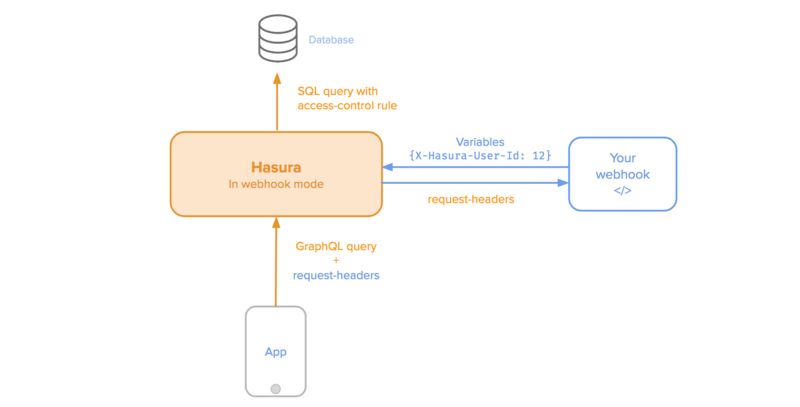 To add auth webhook stop our docker container and add HASURA_GRAPHQL_AUTH_HOOK env variable. 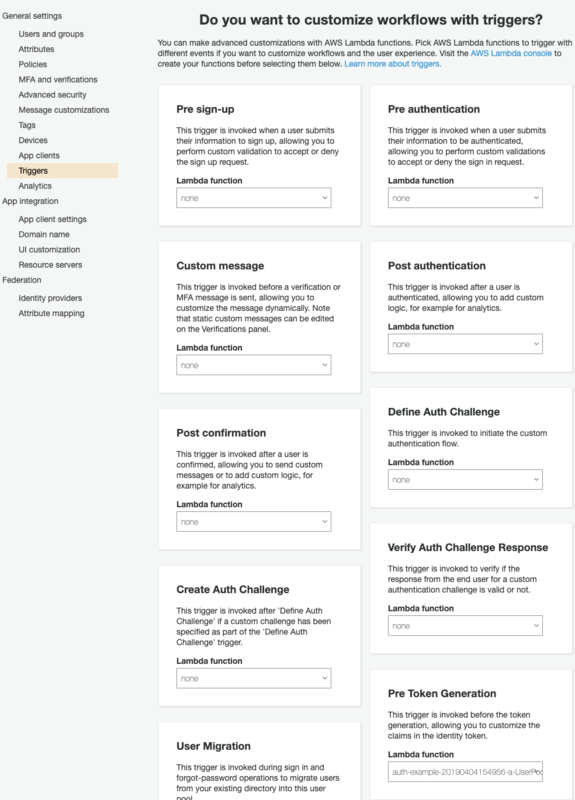 Now what will happen is when you pass Authorization header, it will be passed to custom auth webhook and processed by it. As you can see we pass either anonymous role or user.id. Now we can set our permissions accordingly in the Permissions tab. There are other auth-webhooks boilerplate that you can check here. response returns 200 or 401.
key - Public key for your JWT encryption. jwk_url - provider JWK url. This is used for some providers to expire a key. 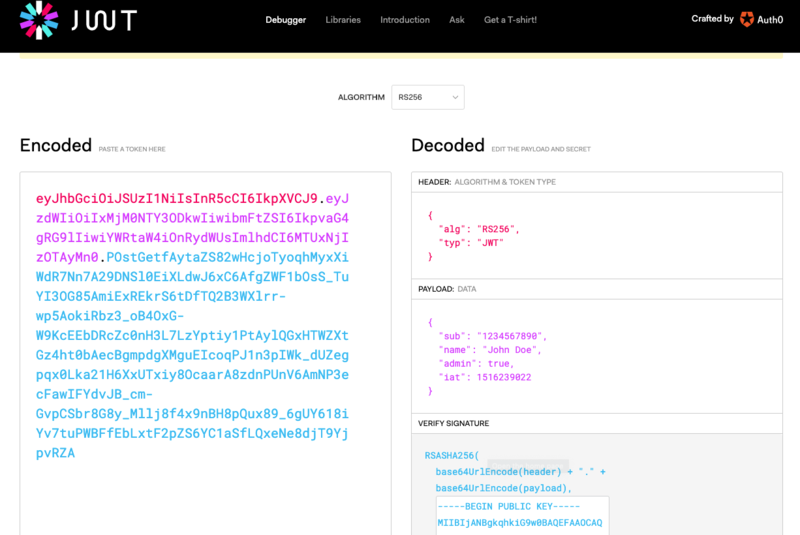 Any Auth server that returns JWT token have to pass JWT with x-hasura-* claims under either configured or https://hasura.io/jwt/claims namespace. 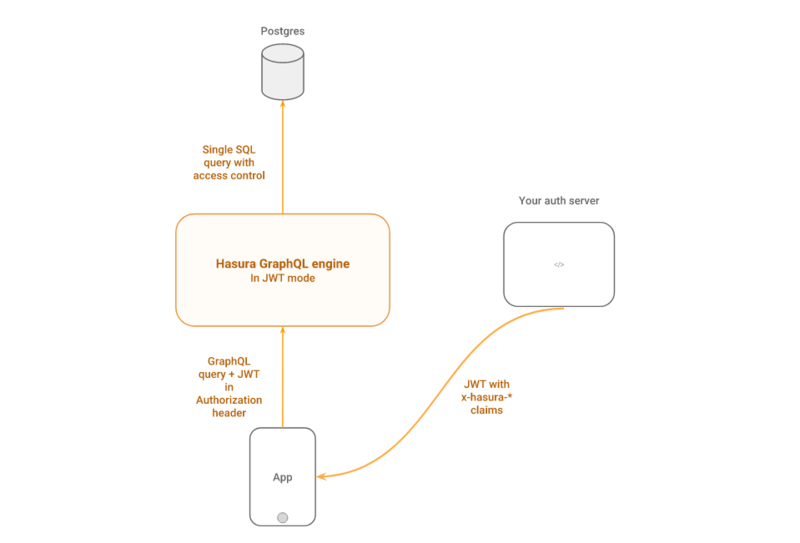 JWT will be decoded by the engine following configuration provided in HASURA_GRAPHQL_JWT_SECRET and all x-hasura-* claims will be forwarded to Permission system. Now we will head to the console and pass our token as Authorization Bearer token. Let's take a look at common authentication techniques we can use. 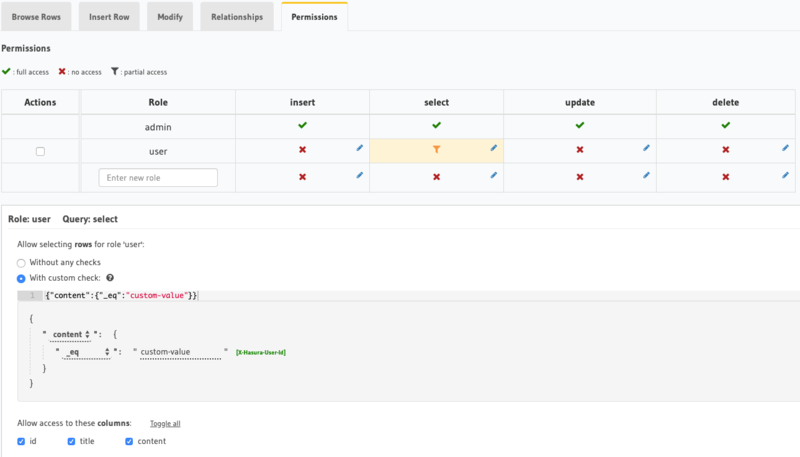 We also need to add custom claims to Firebase, so we will be able to include X-Hasura-* variables in our encoded token. There is a great blog post describing the usage of Firebase for authentication. That's how we add custom claims. Now you can notice that we pass our claims as stringified JSON. This is done because Cognito does not support nested custom claims. Also, you can see that I am checking for specific user if its and admin or not and if it is I return an admin role. Hasura has a really granular method of evaluating permissions. In sections above, I laid out different methods of authenticating with Hasura and while these methods were different from the other all of them result in the same outcome. X-Hasura-* variables are passed to Hasura permission system. 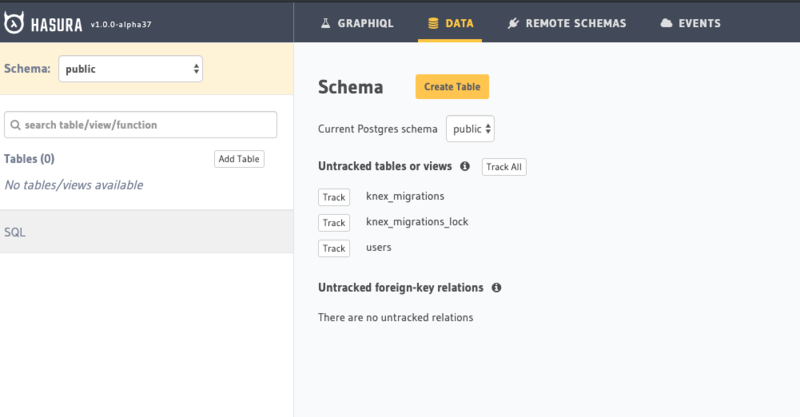 The first layer of permissions is roles. Roles are defined based on x-hasura-default-role and x-hasura-allowed-roles variables passed to the permission system. As you can see in this example, we are checking post content to be "custom_value" and only if it is, we enable user to select fields. What it will mean is that user will be able to see posts only when posts content is equal to "custom value"
And that will mean that user will be able to see only his/her posts. As you can see from the summary above, Hasura supports lots of different Authentication techniques and is aligned with best practices in industry. In addition to that Hasura permissions system gives you a really granular level of access control used, which is a must in production apps.